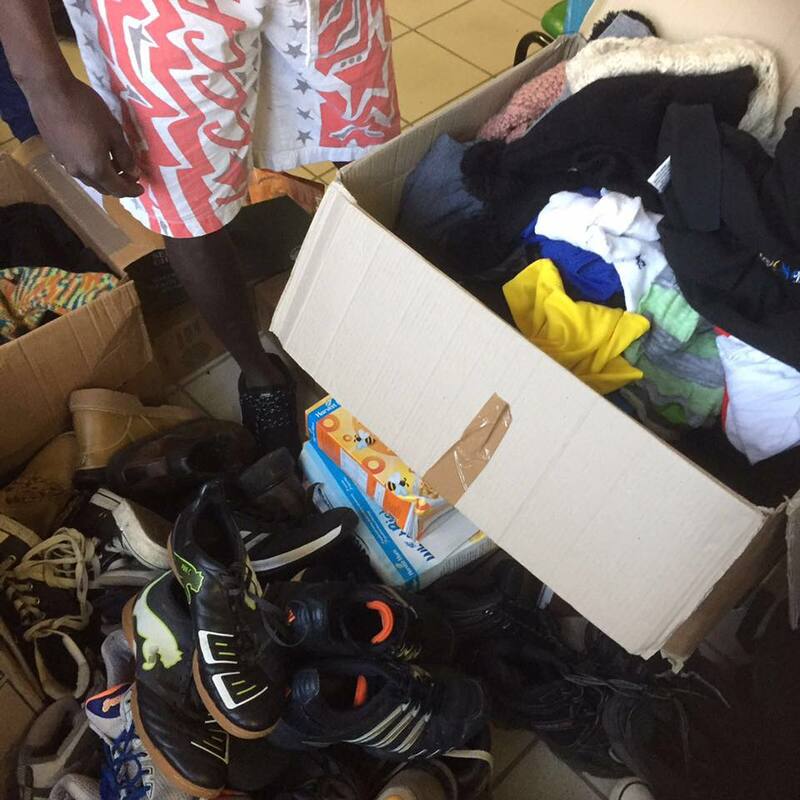 Volunteers from Care4Calais went to a CAO near Lille yesterday to take donations of clothes, shoes and food to 50 refugees, most of whom were Sudanese or Afghan. Their situation compared to other CAOs was slightly better, although food was a big issue. They are only served one meal a day, and most of the time the food is not halal. They have to walk one and a half hours to get to the nearest market to buy food. They have security guarding the complex they are staying at and the police have been called before when volunteers have tried to go and help. Although we took supplies there were no kitchen facilities and some refugees did not even have coats or shoes to see them through the winter. They are given no recourse to funds. We delivered winter clothes, shoes, underwear, thermals a microwave and a kettle to give them some independence.